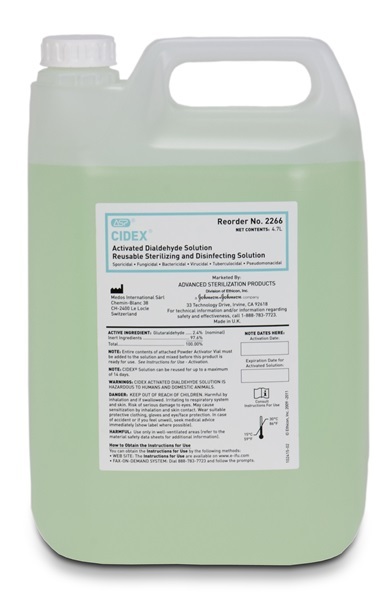 Cidex liquid instrument disinfectant that contains activated Dialdehyde. Comes as a liquid in a 4.7L pour bottle. 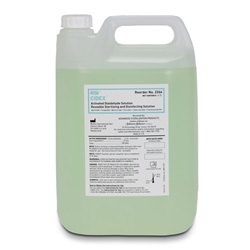 Manufactured by J and J Healthcare Systems.